Satisfy stomachs at LA MICHOACANA MINI MARKET (10617 E. Sprague), a hidden gem that not only features the most authentic Mexican food in the area, but also boasts a grocery loaded with hard-to-find sundries. Feast upon elote, tortas, tacos, tamales and sopas, followed by house-made dulces for dessert. Wash it all down with a spicy michelada or agua fresca. 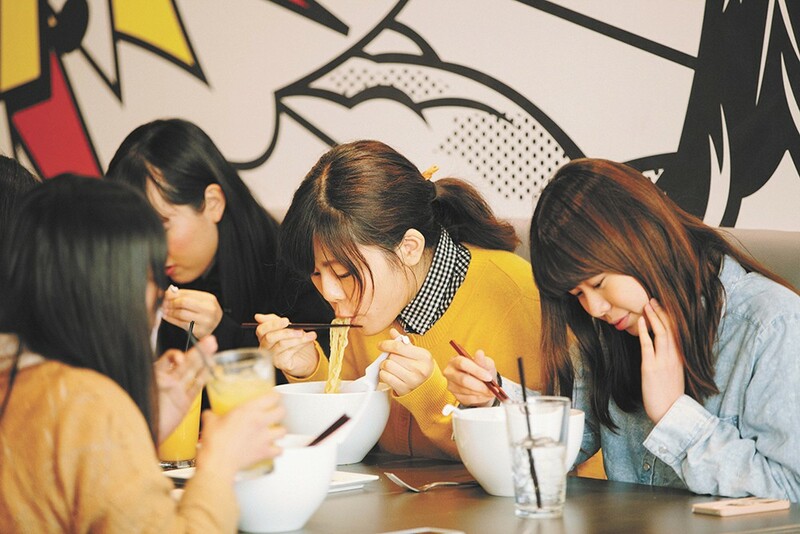 The rich and soothing ramen at NUDO RAMEN HOUSE (818 W. Sprague) will make you long for chilly days. Until then, devour the crisp salt-and-pepper basil chicken, ramen burger and yakitori in the beautifully designed space, and chinwag with the hip and friendly servers. Stay late for the inspired cocktails and people-watching. Gather a group of your favorite foodies and head to THE WANDERING TABLE (1242 W. Summit Pkwy.) to share as many small plates as you can manage. The ambitious local and seasonal menu guarantees diners will never get bored, while revolutionary small plates like the chicken-fried garbanzo beans, Alaskan scallop tiradito, bruleéd albacore tuna and spaghetti-stuffed meatballs will bring you back time and again. Elevating late-night bar food to the realm of fine dining? Yes, please! The BUTCHER BAR AT SANTÉ (404 W. Main) offers a late-night social hour with food specials that don't involve a drive-thru. Dive into a burger with foie gras or tuck into the pancetta with polenta, kale and duck egg. Pair this heavier fare with a classic cocktail, finished with a seasonal house infusion.